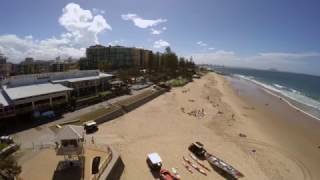 Live It Tours is the only tour company that takes you behind the scenes like never before to uncover the Sunshine Coast’s unique lifestyle, culture and fresh seasonal produce. 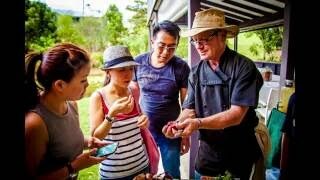 Enjoy hands-on experiences with local experts and discover the Sunshine Coast's best kept local secrets. Taste wild food and freshly picked produce. Visit local producers behind the scenes, experience native Australian bush tucker and discover the beach and surf lifesaving culture. You’ll be guided through the labyrinth that is the world-famous Eumundi Markets, meeting local artists, designers and producers, and enjoying some free time for all-essential “retail therapy”. It’s a shopper’s paradise with a phenomenal mix of eclectic treasures. Your guide will then lead you through the village, sharing Eumundi history and stories behind the landmark buildings. It’s then over to the iconic Imperial Hotel for a special behind-the-scenes tour of the Eumundi Brewery – and of course tasting the local brews! You’ll also be treated to some ‘Bush Tucker Secrets’ with a local bush food expert, before enjoying lunch in this truly magnificent hotel. Spoil yourself on this private Sunshine Coast Gourmet Food and Wine experience. Showcasing the very best of the stunning Sunshine Coast hinterland this is a distinctly unique gourmet food and wine experience. As Sunshine Coast locals they love to make each trip an adventure, sharing their favourite places and stories while catering to your passion for food and wine. Their first stop on the tour is Mary Cairncross Scenic Reserve, boasting subtropical rainforest and overlooking the stunning Glass House Mountains. 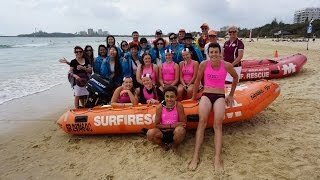 Here they take a private guided walk with an informative local expert through the tranquil reserve, a living museum of diverse plant and animal life unique to the Sunshine Coast. Next they visit a famous Montville Vineyard and restaurant for a private wine tasting where you are introduced to a selection of 100 per cent estate-grown wines complimented by a selection of local epicure cheeses. You then sit down to the ultimate paddock-to-platter experience sharing a delicious charcuterie platter of seasonal farm cured meats and game, Berkshire ham off the bone, terrine, pate, marinated and pickled vegetables, house-made relish and a selection of locally made Artisan breads complimented with a bottle of estate wine. 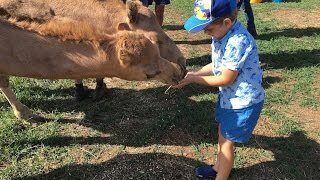 Join them on an exclusive behind the scenes farm gate experience to a local Sunshine Coast camel dairy and cuddle up close with these gentle and intelligent creatures. On arrival you are met and welcomed at the QCamel farm gate. The spectacular backdrop of the stunning Glasshouse Mountains with glimpses of a rhythmic saunter of camels rambling in is sure to take your breath away. At the camel dairy you learn all about the fascinating journey setting up the camel dairy and everything that’s involved in running the farm. 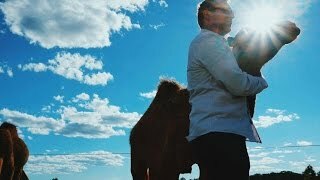 Discover the innovative and ethical processes involved, from milking and caring for the camels and how the fresh quality pasteurised camel milk is produced, right here on the doorstep of the Sunshine Coast. It’s then time to get up close and personal with Maxi, Gracey and all the other camels as you wander over to the camel enclosure. Enjoy their endearing camel cuddles and awaken your taste buds as you savour the unique flavour of the freshly produced, pasteurised camel milk. All of this and with a variety of chef prepared camel milk muffins and light refreshments throughout, makes this a truly unforgettable camel farm experience.